It’s about time to take a look at the brand new Womens Nike Free TR Flyknit 3 Training Shoe. In this post we’ll go through all the new features of one of the best Women’s training shoes on the market right now. 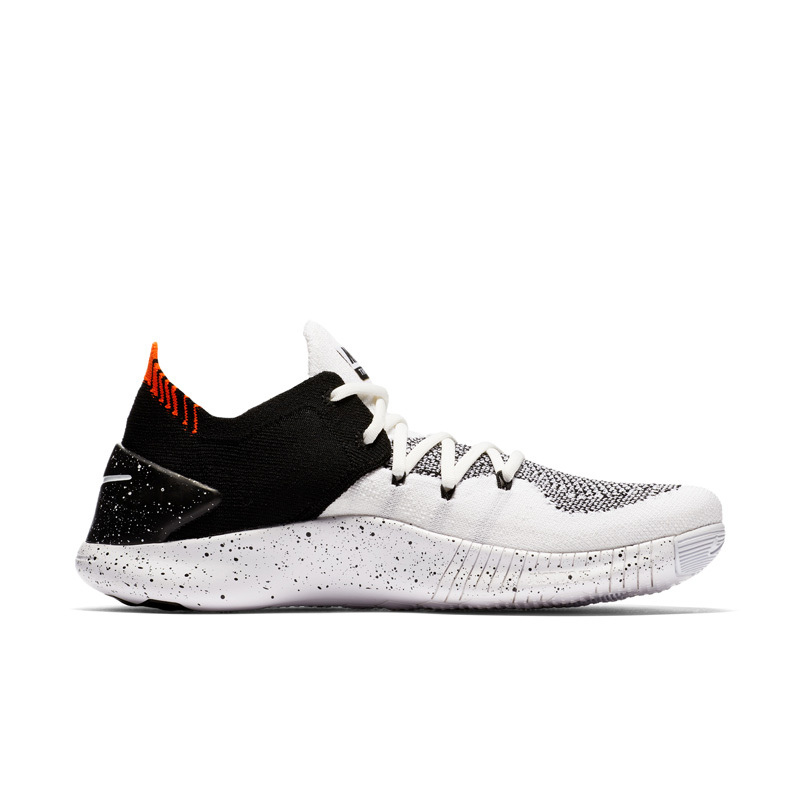 Specially two thing were important to focus on for the designers while designing the new Nike Free TR Flyknit 3 training shoe for women. 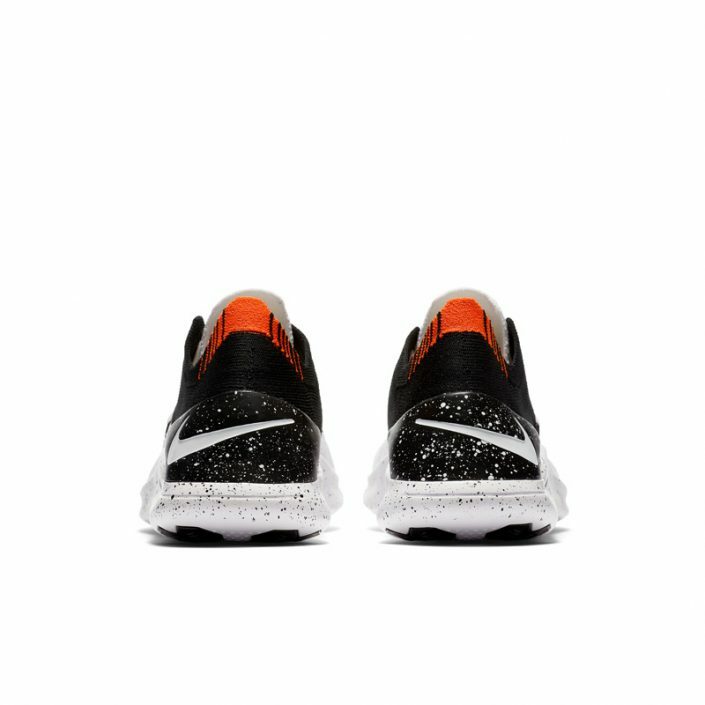 They will be available in Nike Store on the 1st of March – and at select Nike retailers around Europe. Since training today is more versatile than ever it’s important to create a shoes to match that. Any workout can include things like jumps, sprints as well as weighted exercises. Research and testing focused on the biomechanics of the foot during these movements, which generated insight into how the foot changes shape on impact and when loading. Another focus area was ‘where the foot sits in the shoe’. During training people mainly move on their forefoot and thus their foot often slips away from the heel counter when in motion. Nike designers discovered that when arches collapse and toes get splayed, the contact area to the ground increases, which could lead to better stability. 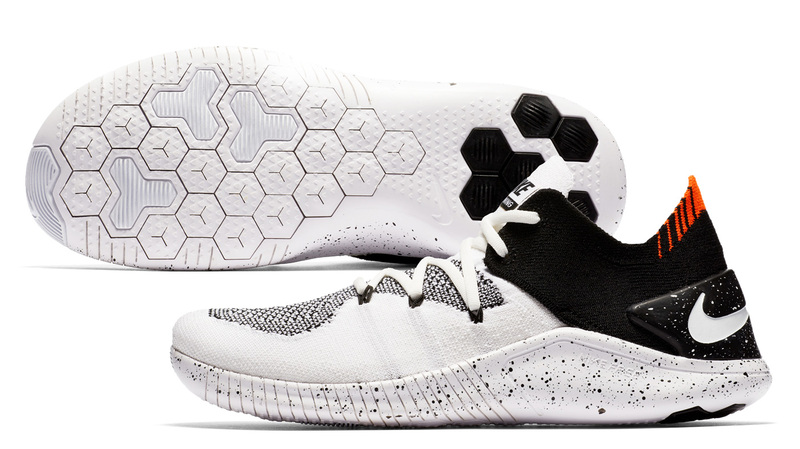 With the goal to increase stability in the heel and maximize flex and movement in the forefoot, the designers evolved the shoe from the ground up, landing on these key updates. Ultra-stretchy yarns in the forefoot enable optimal flexibility, while tighter yarns around the perimeter of the upper and heel provide structure and durability — a new sensation for Nike Flyknit in a training product. 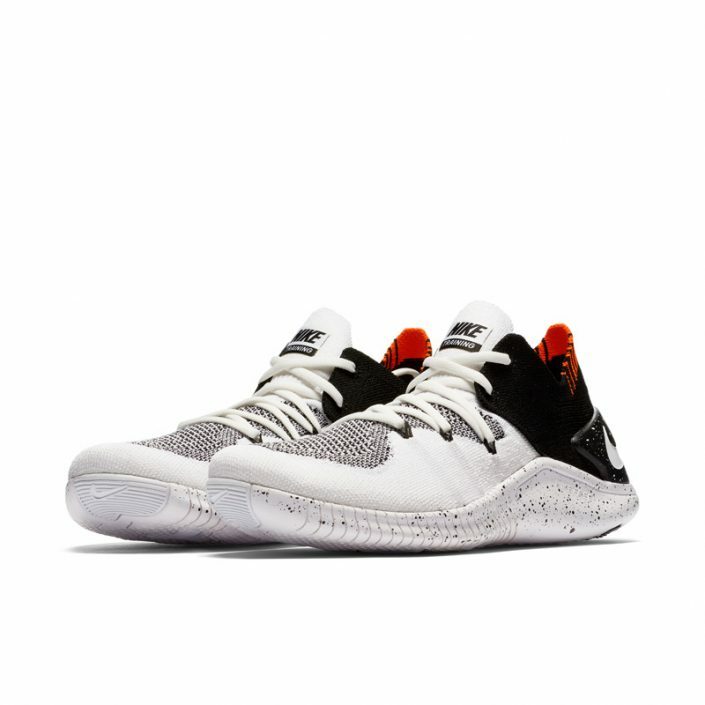 The laces are wider than before, which helps to maximize the stretch of the upper while also activating the various knit zones that provide lateral support. 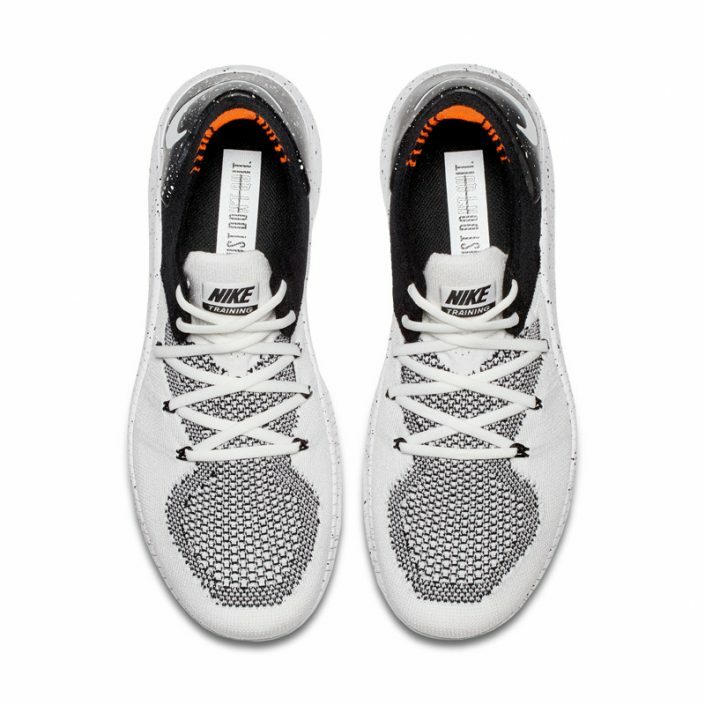 In previous Nike Free TR shoes, the upper was placed on top of an outsole (similar to how a hamburger sits on top of a bun). Now, the tooling wraps up and around the foot (more like how a hot dog sits in its bun), providing better containment and support and allowing for a more minimal upper without sacrificing flexibility. 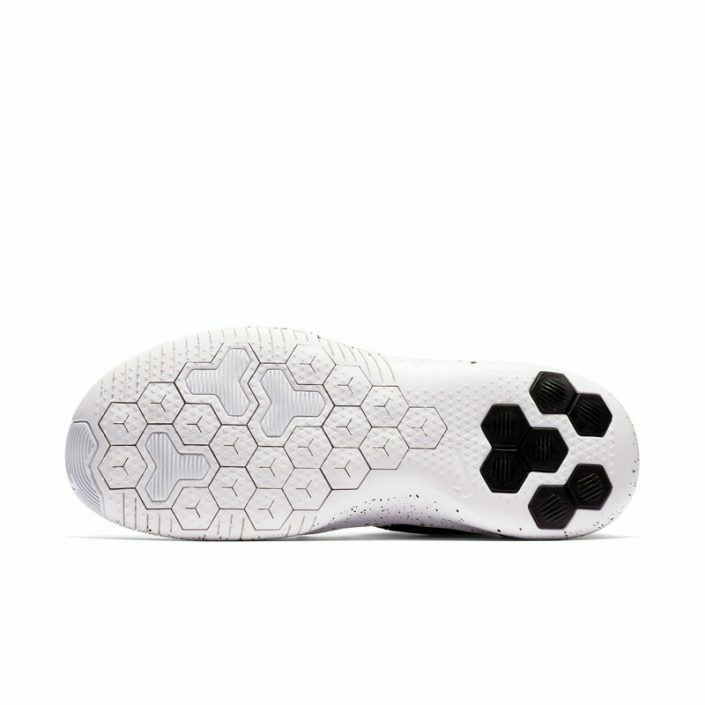 The outsole siping increases and extends up the sidewall of the forefoot to maximize the foot’s natural motion, allowing it to expand and flex. The upper stretches with your foot to accommodate movement and loading. Less reinforcement in the forefoot allows the shoe to adapt to different types of impacts. For the first time, designers considered the outsole’s forefoot and heel separately. They then mapped the bottom of the foot to determine how to build in different performance attributes, resulting in concentrated siping in the forefoot for maximum flexibility and more rubber in the heel to improve stability. More rubber and stability in the heel — which is also flatter than previous versions — helps to prevent the foot from slipping away from the back of the shoe during vertical, linear and lateral movements like squat jumps, sprints and speed-skater lunges. 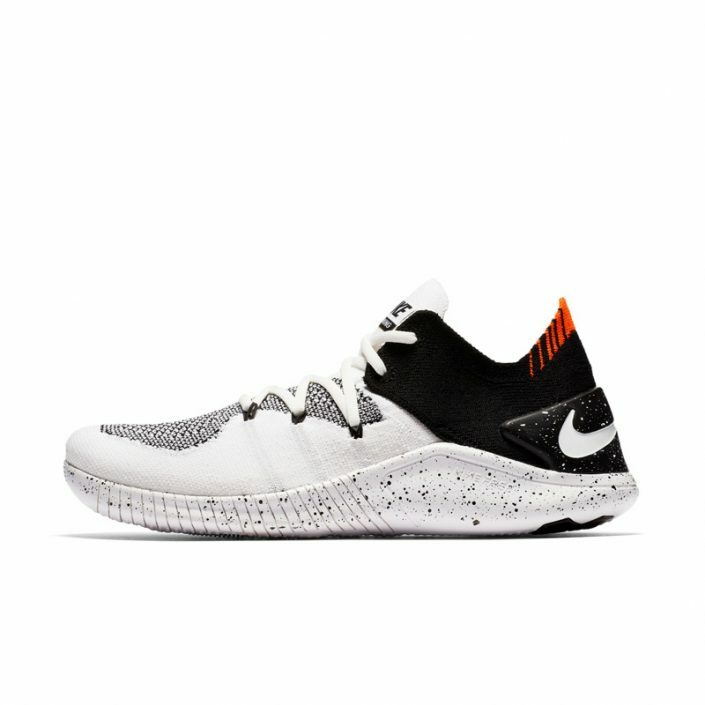 Where to buy the Womens Nike Free TR Flyknit 3 Training Shoe? The shoes will be available in Nike Store on the 1st of March – and at select Nike retailers around Europe.